Burnley have given themselves a decent chance of winning through the group stage in the Premier League Cup with a 0-0 draw this afternoon against Liverpool at Bamber Bridge. This result has taken us within a point of leaders Bournemouth and ahead of West Brom by a point with those two scheduled to meet on Monday evening when a Bournemouth win would end our hopes of winning the league but would probably be the best result in terms of us wanting to finish in the top two. I sat all morning wondering whether the game would be on. The rain poured down for much of the morning but, thankfully, cleared well ahead of kick off with the game behind played under blue skies on a cold February afternoon. The injury list seems to be mounting for Steve Stone’s squad. Mace Goodridge is out for the season, Christian N’Guessan and Oliver Younger are not fit to return yet while Tinashe Chakwana was also out with an injury. To add to that, Ali Koiki is out on loan at Swindon with Matty Rain, who has come in as his replacement, serving a one match suspension. We’ve also lost Dwight McNeil from the squad but that’s for very positive reasons. There seemed to be a healthier crowd than what we are used to at Curzon Ashton as the game kicked off and it was Liverpool who certainly grabbed the initiative in the opening period. They forced Adam Legzdins into a couple of saves and put us under some real pressure as they looked to get an early lead in their search for a first win in the competition. But as the half progressed, we came more and more into it and eventually we began to dominate things with Liverpool hardly getting much of a look in. With Josh Benson pulling the strings in midfield, we gave our opponents a number of scares in the first half but just couldn’t convert any of them. Nothing much changed in the second half as we continued on top and more than once Liverpool were thankful for the goalkeeping of Caoimhin Kelleher who made a number of good saves. For a long time during that second half it looked a case of whether we would be able to break the deadlock, but as the game went into its final quarter of an hour or so we found ourselves having some defending to do to remain level as Liverpool started to put us under some real pressure. But we stood firm, and none more so than the two central defenders Bobby Thomas (pictured) and Anthony Glennon. The pair won so much it meant Legzdins had very little to do but, when called upon, he made one excellent save just minutes from the end. It all ended 0-0 and that was, I’d say, a fair result. This had been no stale affair but a really enjoyable match to watch, despite the lack of goals. I really do hope we can get a positive result against West Brom two weeks on Monday. We deserve to get through. 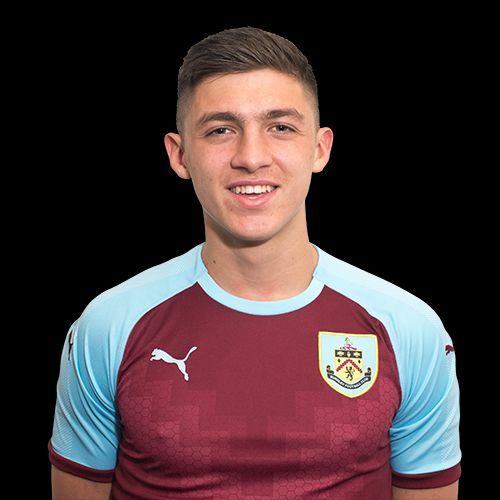 Burnley: Adam Legzdins, Jordan Cropper, Bobby Thomas, Anthony Glennon, Scott Wilson, Tunde Bayode, Trialist (Richard Taylor 61), Josh Benson, Marley Blair, Rob Harker (Michael Fowler 74), Dan Agyei. Subs not used: Aidan Stone, James Clarke, Teddy Perkins. Liverpool: Caoimhin Kelleher, Connor Randall, Juanma Garcia, Rhys Williams, George Johnston, Liam Coyle (Paul Glatzel 78), Bobby Duncan, Abdi Sharif, Glen McAuley, Adam Lewis, Yasser Larouci (Louis Longstaff 78). Subs not used: Kai McKenzie-Lyle, Elijah Dixon-Bonner.